Deposit will be minimum £100.00 which is returnable after your holiday, subject to the caravan being left in a clean and acceptable condition Balance payments to be paid before 4 weeks prior to the start of your holiday. 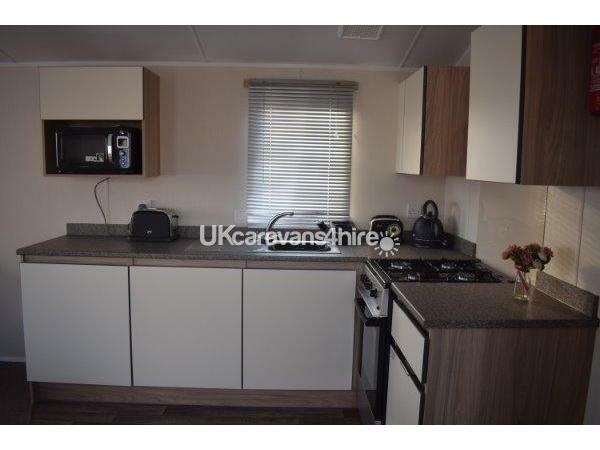 Available to rent is this modern Deluxe Caravan offering 2 bedrooms with gated garden and own parking in Dorset. 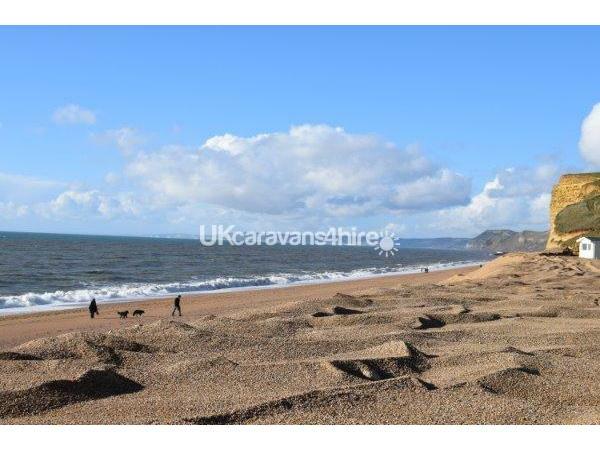 This caravan has a beach view and only a short walk to the beach. This caravan is sited in gorgeous Freshwater Beach Caravan Park, just 2 minutes from the beach, with entertainment for all and good facilities. Visit the famous Jurassic coastlines and surrounding countryside for a fantastic get away from it all UK holiday. Our 2 bedroom static holiday home is well equipped for a self catering holiday, with all those extra's including a DVD player, DVD's and indoor games for those not so nice days. This holiday home accommodates a maximum 6 people sleeping in the 2 bedrooms and use of the sofa bed in the lounge. Should you need the use of the sofa bed there is an extra charge of £15.00. The 2 bedrooms offers one spacious double room and 1 twin room. Bedding and linen will be provided but you will need to bring your own towels. All mattresses and pillows have protectors for health and hygiene reasons. All bedrooms have wardrobes, ample storage and heating. The kitchen area is well equipped with full gas cooker, microwave, kettle, fridge/freezer, toaster and crockery, cutlery and cooking utensils. The very spacious lounge has wrap around seating, gas fire, a dining area and a flat screen TV with separate DVD player, radio and many items to make your holiday home a real home from home. Entertainment passes are included in every holiday booked. Thank you, really pleased you enjoyed your stay ???? SUPERB WEEK AWAY.. Lovely caravan on a great site. 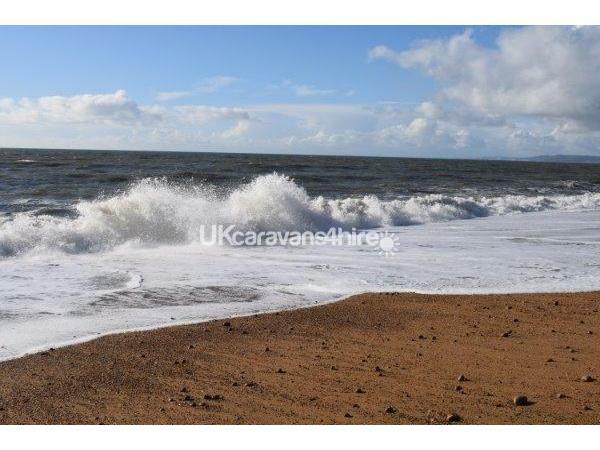 Two minutes to the beach.The caravan is very clean and tidy with everything you could possibly need. Shower works perfect and was great after a long days site seeing. 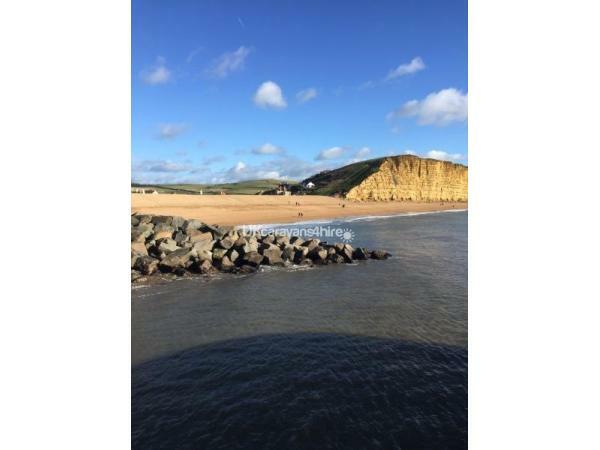 I enjoyed the beach walk to West Bay where we could get a nice meal, and a few drinks in one of the pubs and walk home. Fishing was great fun too and successful. All in all, a fantastic week we all enjoyed topped off with the comfort of a superb home for the week. Thoroughly enjoyed by all. Very clean , spacious and tidy with useful extras such as garden furniture, fans, washing line and pegs plus enclosed garden DVDs and games were also supplied for wet days Felt like home from home Great holiday for us Many thanks! Caravan was spotless and very spacious. Comfortable beds and a short walk from the beach. Brilliant holiday and Mags was lovely. Can't recommend highly enough! It is a lovely presented & very clean van. With plenty of room in the main bedroom Which makes a great change. Dealing with mags has been an absolute pleasure. We would definitely stay in mags van again. 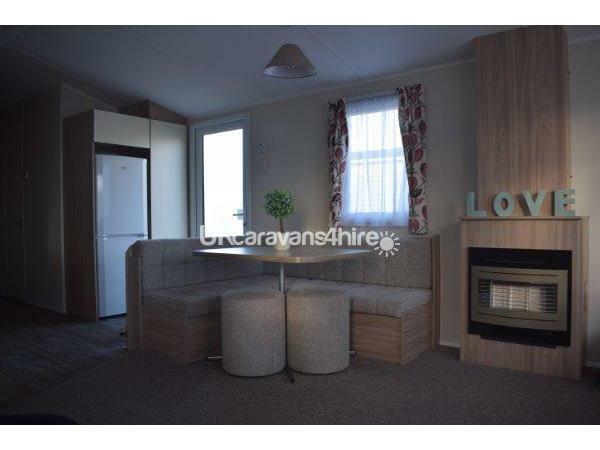 A very modern & homely caravan set within a beautiful location. Caravan was clean & comfortable & the owner, Mags, was very quick at responding to questions we had. 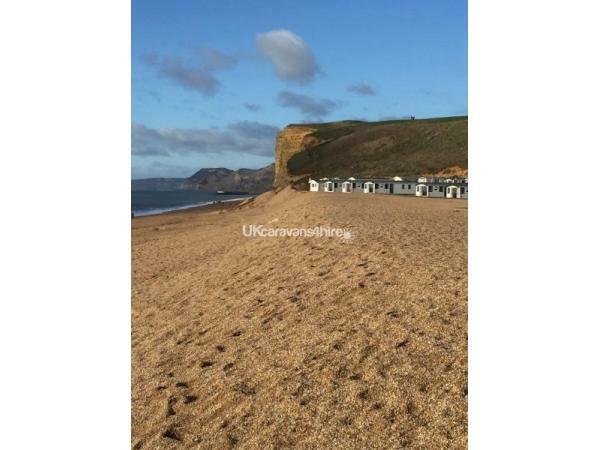 The location & views are great as it's right on the beach amongst beautiful cliffs. There is a lovely pub, The Three Horseshoes, only 5mins drive away which do the best roast dinners! First time in West Dorset and loved every minute of it. Accommodation was and is a A+ modern holiday home With all mod cons needed to have a restful and enjoyable holiday. Even some DVDs are inmate under the TV which we watched on a stormy evening. 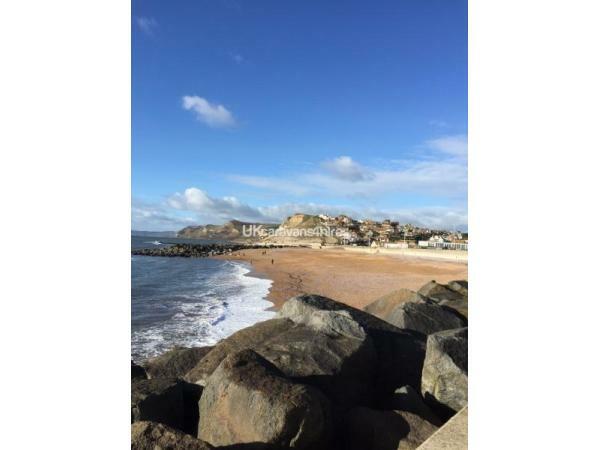 Great location as beach is a stones throw away and can even hear the waves when in the garden at night. I'm booked already for October this year can't wait. Mags the owner is always helpful and made sure we had everything needed. Thanks. 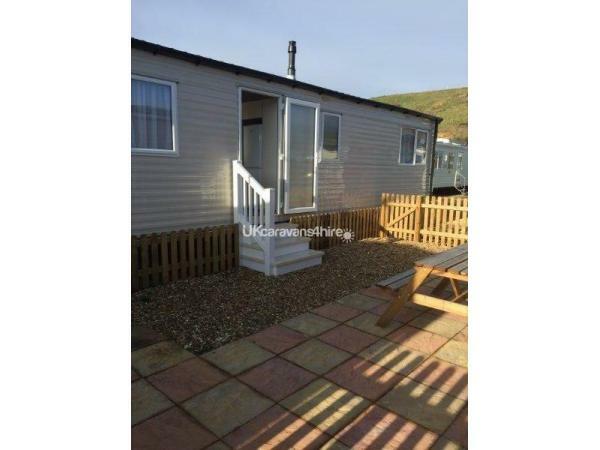 A beautiful modern and spacious caravan, everything about it inside and out is quality, great location near the beach, spotlessly clean, would definitely come again, mags the owner is very good responding with any enquiries you may have, had a really enjoyable stay. 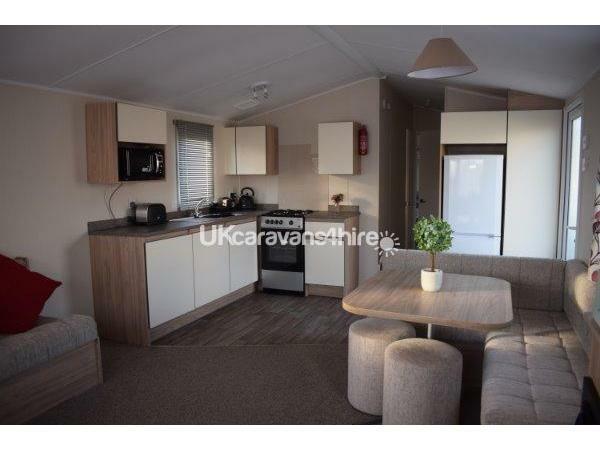 This is a lovely, very modern, comfortable and spacious caravan, which made for an excellent base for a very relaxing weekend stay.